What should the TDS level of my water be? There is no specific level nor, 'good or bad' answer to this question. Generally speaking, for drinking water, a lower level of TDS (purer water) is preferred. The U.S. EPA, all U.S. states, the World Health Organization (WHO) and most nations put maximum limitations on TDS allowed in drinking water. These limitations are typically 500 or 1000 ppm, but they do vary. There is no known minimum for drinking water. Besides drinking water, a TDS level is specific for each application and particular usage. Though humans generally prefer purer water for their health, fish and plants, for example, require water with widely varying TDS levels, most of which are higher than healthy human drinking water. If you are using a meter to test the water pertaining to a particular device, object or operation, contact the manufacturer of that object. 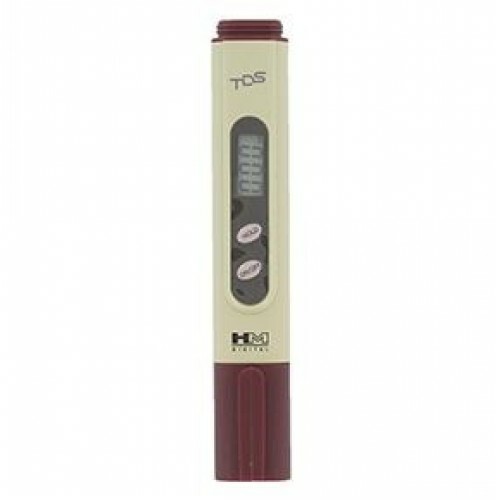 For example, if you are using the meter to test the efficacy of a water filtration system, contact the manufacturer of that system for preferred TDS levels. If you are testing the water for a pool, plants, fish, etc. contact a specialist for your specific application, or the manufacturer of additives or nutrients. Recommended for fresh water aquariums & aquaculture, horticulture & hydroponics, and pools & spas.